Posted on Tuesday, July 16th, 2013 at 7:32 am. Boxing History: July 15, 1931 Kid Chocolate KO 7 Benny Bass, Philadelphia. Wins world super-featherweight title. 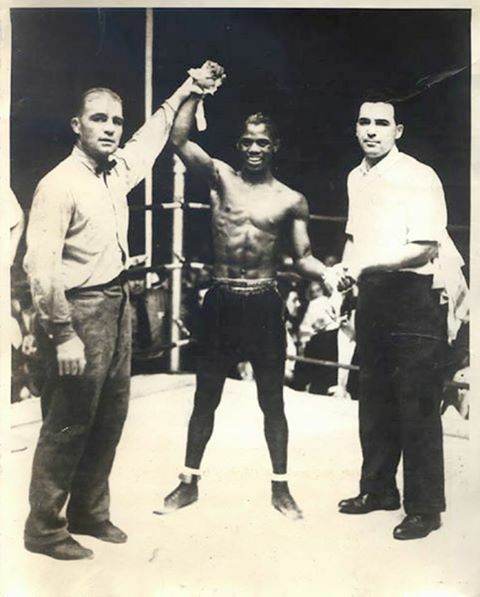 Eligio Sardiñas Montalvo (January 6, 1910 – August 8, 1988), better known as Kid Chocolate, was a Cuban boxer who enjoyed wild success both in the boxing ring and in society life during a span of the 1930s. Eligio Montaldo, also nicknamed The Cuban Bon Bon, learned how to fight by watching old fight films in Cuba. He later sparred with boxers such as Benny Leonard and Jack Johnson, all world champions, before beginning an amateur boxing career. In 1928, he moved to the United States and began campaigning in New York. After going up in weight class to the Junior Lightweight division, he started 1931 by winning four fights in a row. Then, on July 15, his dream of becoming Cuba’s first world boxing champion finally came true, as he knocked out the defending world Junior Lightweight champion Benny Bass in seven rounds to take the world title. 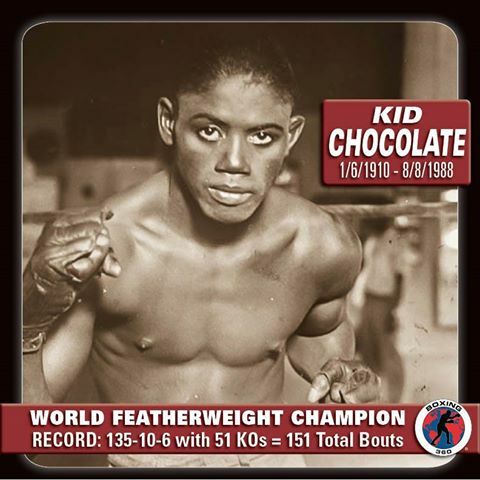 Kid Chocolate had been a wild party man during his years as a world champion. He was a boxer who enjoyed the city’s nightlife. However, when he stepped out of boxing, he went back to Cuba and lived a quieter life. From 1959, Chocolate’s fame in Cuba was overlooked by Fidel Castro and his revolutionary forces, and he almost became a forgotten champion. But, by the late 1970s, Chocolate’s achievements were finally recognized by the Cuban government, who gave him a small pension. Chocolate died in his own home -bought for his mother when he was champion- in 1988. His record was 135 wins, 10 losses and 6 draws, 51 wins coming by knockout and one no decision bout, also making Ring magazine’s list of boxers with 50 or more career knockout wins. He became a member of the International Boxing Hall Of Fame. Current WBO middleweight champion Peter Quillin, an American of Cuban descent, carries the nickname “Kid Chocolate” in honor of Sardiñas. Original wire photo of Kid Chocolate standing in the ring after defeating Benny Bass by TKO in round seven on July 15, 1931.